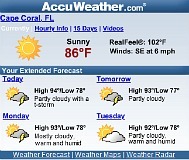 Well, the weather has been very pleasant and in the low-mid 80's for several weeks. 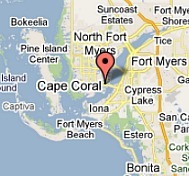 I have several new pages up on Come to Cape Coral, so don't forget to click on the links below to see more photos and information. 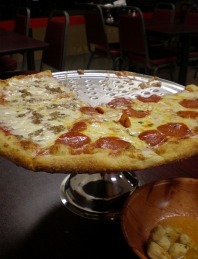 We decided to try a new pizza restaurant in town called the Pizza Baker. While it isn't the most romantic place to go, it's great for a quick bite or take out. The prices are very low and the pizza is yummy. We got complimentary garlic nuggets with our order and they were also very good. For Valentine's Day, we just had to go to one of our most favorite restaurants, and if you haven't been yet, you simply must go to Bonefish. They have the best bread and dipping sauce, appetizers like Bang Bang Chicken or Shrimp, entrees, and desserts. 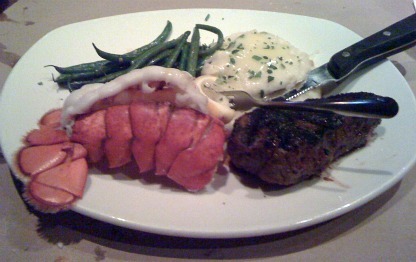 You will find plenty of seafood selections, steaks, chops, pasta dishes, and more. Everything is delicious and service is friendly and attentive. In February, Cape Coral holds its famous Burrowing Owl Festival. There are more of these cute little owls in Cape Coral than anywhere else in the world. 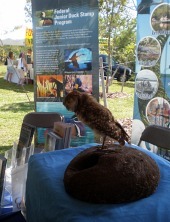 The festival is held at Rotary Park and has exhibits of the owls and other animals indigenous to the Cape. Lectures, tours, crafts, food, music, and fun for the kids rounds out the popular fest. 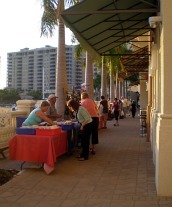 I finally went to the Twilight Farmer's Market, held on Thursday nights from 5PM-8PM at The Resort at Marina Village. Held on the terrace in front of the resort shops that faces the marina, there are vendors of produce, breads, plants, handbags, jewelry and crafts. It was so nice to stroll down the Promenade while watching the sunset and listening to live music coming from the Nauti Mermaid, one of the resort's restaurants. You may even want to get dinner at Nauti Mermaid, Marker 92, or Silver King Deli, it makes for a very pleasant evening. 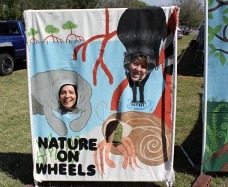 ........was taken at the Burrowing Owl Festival of me and a friend. I hope everyone has a good March!